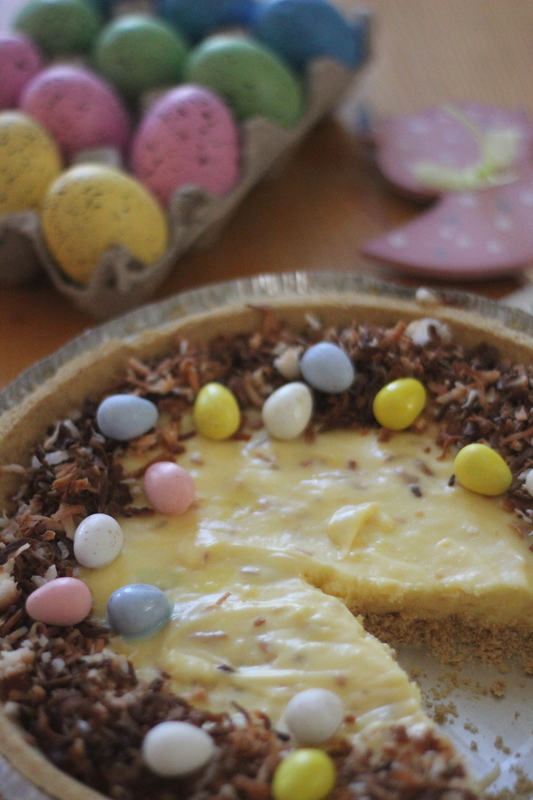 So guess what, I have you all prepared for Easter in 2017 with this recipe (hehehe)! Your welcome! This recipe was under $13 and quite simple to make! Anywho’s, it screamed my name, so I had to make it! 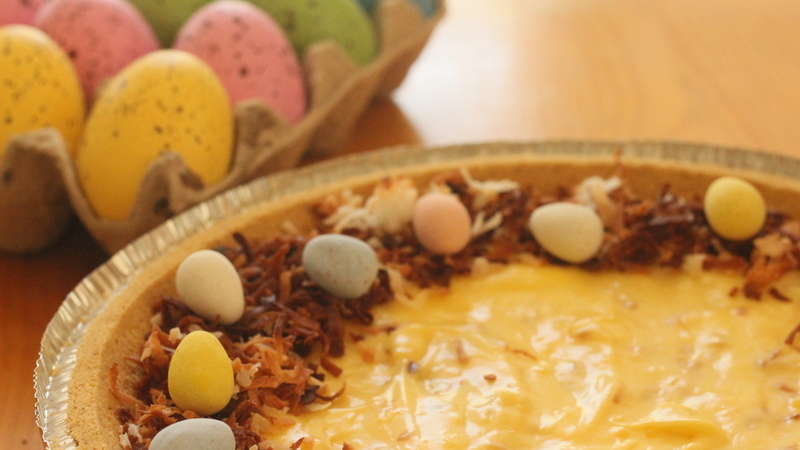 IT WAS EASY AS PIE! (get it! 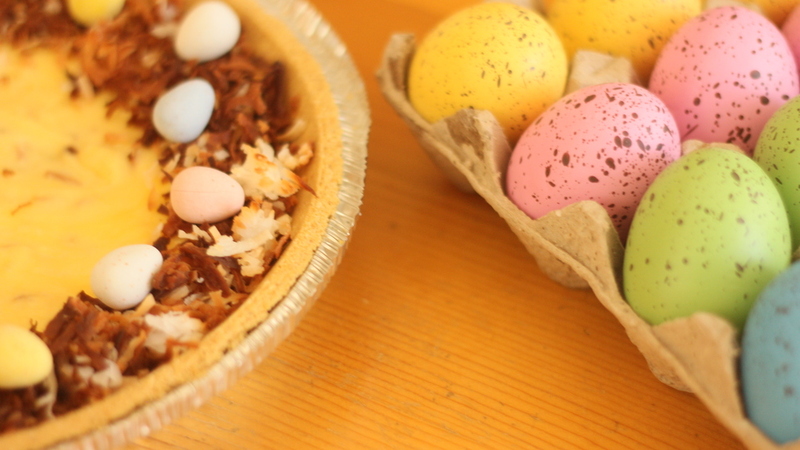 I’m funny)…wait a second…who ever came up with the phrase easy as pie…pie is not easy to make…well home made pie. I must google this..
Richer than chiffon. Lighter than the usual coconut cream. This smooth-as-velvet pie is a dream of delicate flavor and texture when you make it with Jell-o Vanilla Pudding and Pie Filling. 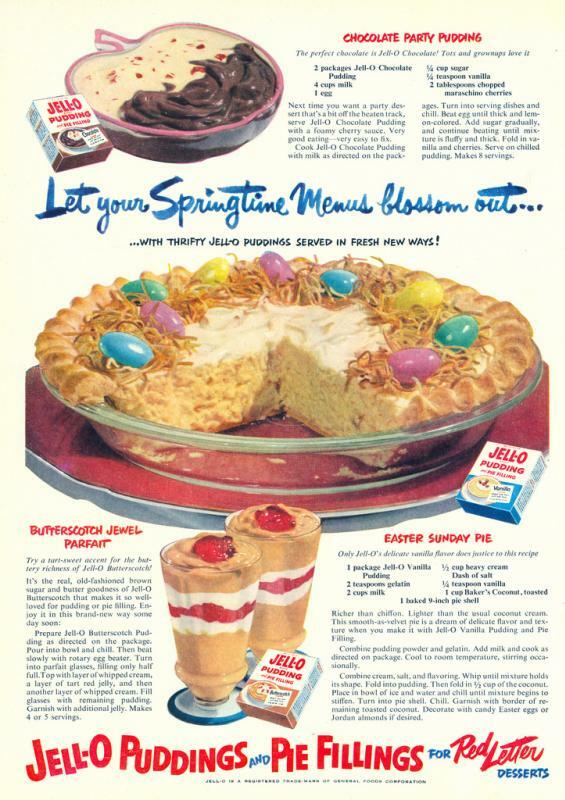 Combine pudding powder and gelatin. Add milk and cook as directed on package. Cool to room temperature, stirring occasionally. Combine cream, vanilla, and salt. Whip until mixture holds its shape. Fold into pudding. Then fold in 1/2 cup of coconut. Place in bowl of ice water and chill until mixture begins to hold its shape and stiffen. Turn into pie shell. Chill. Garnish with remaining toasted coconut. 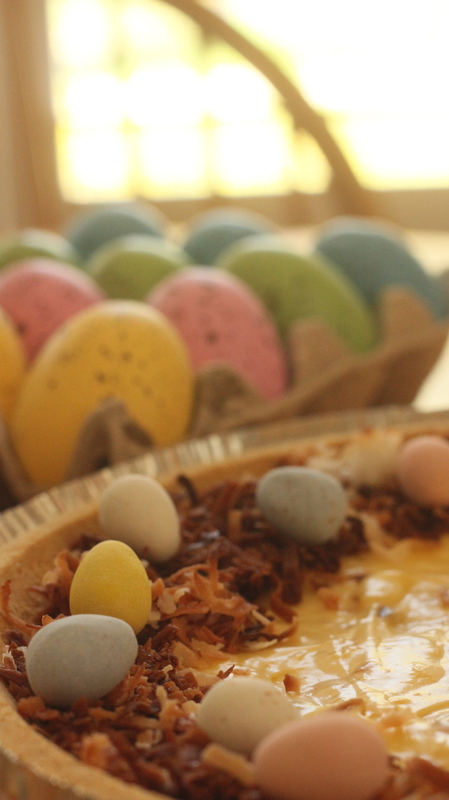 Decorate with candy Easter eggs. As you may or may not have noticed the coconut looks a little on the dark side, which to you I reply as my grandpa would have said, “the burnt bits have the best flavor!”. So there. If you like coconut, and vanilla pudding this is the dessert for you. I also don’t necessarily think it’s just an Easter “delicacy”. 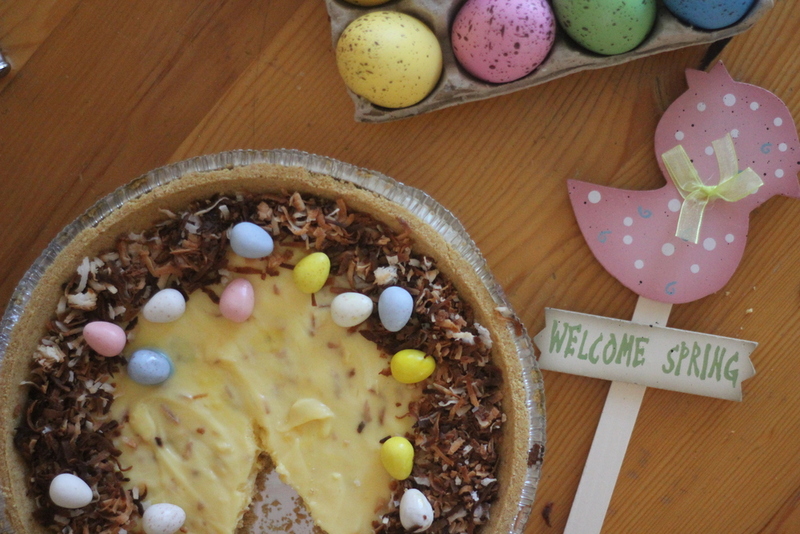 It’s a cute little Spring/Summer pie for a little party or picnic. It’s definitely worth check out! Don’t forget to comment, like, and subscribe! Getting you ready for Easter 2017! 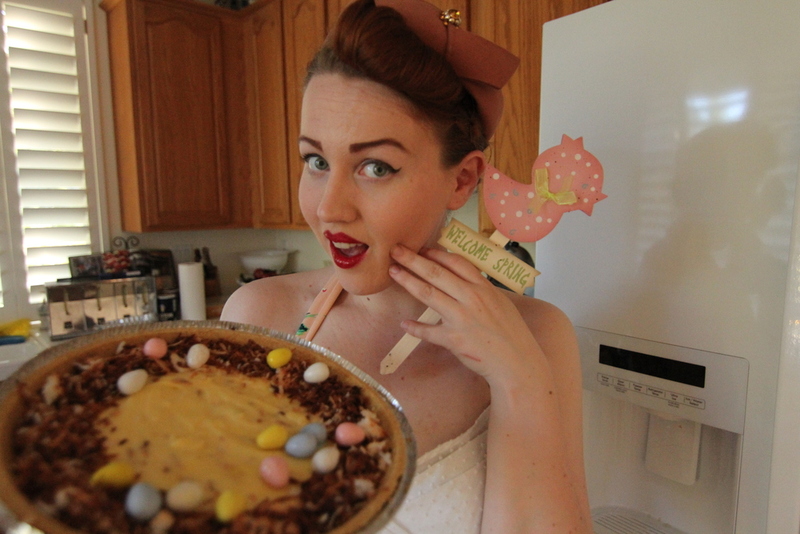 You are sweeter than this pie itself, dear gal. Thank you very, very much for the wonderfully lovely mention. I just adore seeing when folks whip up vintage recipes that I post. Tons of hugs & joyful wishes for May!